Madrid is a city full of music. We’ve recently set up a Music Concierge office there. 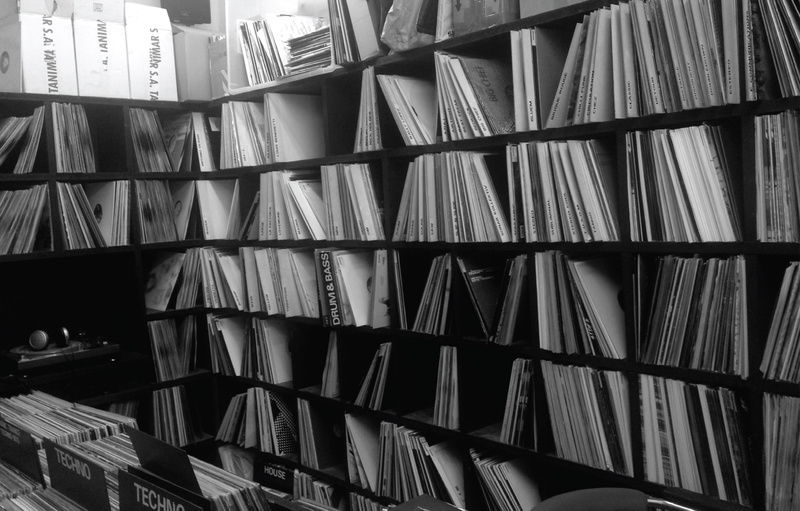 Being always keen to support local independent record stores, we thought we’d ask our man on the ground Freddie Long to guide us around its best emporiums of vinyl…. 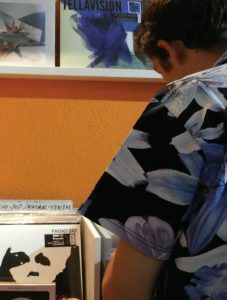 Vinyl has seen a resurgence in popularity in Spain with record sales increasing by 80% in the last three years. Thanks to this Madrid has seen an increase in the number of record stores. There is now a fairly healthy scene located mainly in the trendy ‘barrio’ of Malasaña which is supported by local DJs, collectors and artists. Here’s my tour of the best ones. Be sure to support them if you happen to visit Madrid! Lost things is an incredible and lovely record shop on Calle del Barco no. 43, very near the famous Plaza del 2 de Mayo, it stocks both second hand books and records. One can find anything from Brazilian folk songs to heavy reggae and traditional Spanish music. It was set up by a friendly record collector in 2014 after he lost his job. The music they play in-store is great and you are very likely to discover some rare band or album you had never heard of. I was very tempted by a Caetano Veloso LP but I have to say it was a little pricey! Rotor is one of Spain’s oldest remaining record shops which opened its doors in 1986. It is located in a flat on the 6th floor of a building on Madrid’s main street, the Gran Vía. The store is well stocked with the latest in electronic music and the friendly owner Andrés knows his chops, he will happily help you navigate. I picked up a copy of Omar S’s latest album called ‘The Best’. Right next to Rotor in the same building, one finds Is The Place which was opened a couple of years ago by label owner Alfonso Pomeda – a real guru when it comes to Madrid’s electronic music scene. Apart from running his own Downbeat label which showcases both local and international talents, he also runs several nights in Madrid’s finest clubs. The record store name is inspired by Sun Ra’s 1973 album ‘Space is the Place’ It is decorated with futuristic-style lamps and has the latest in electronic music as well as a decent selection of second hand funk and soul albums. This is very possibly my favorite record store in Madrid. Located on Calle Minas no.13. It was opened just a year ago by friends Raúl and Roberto. 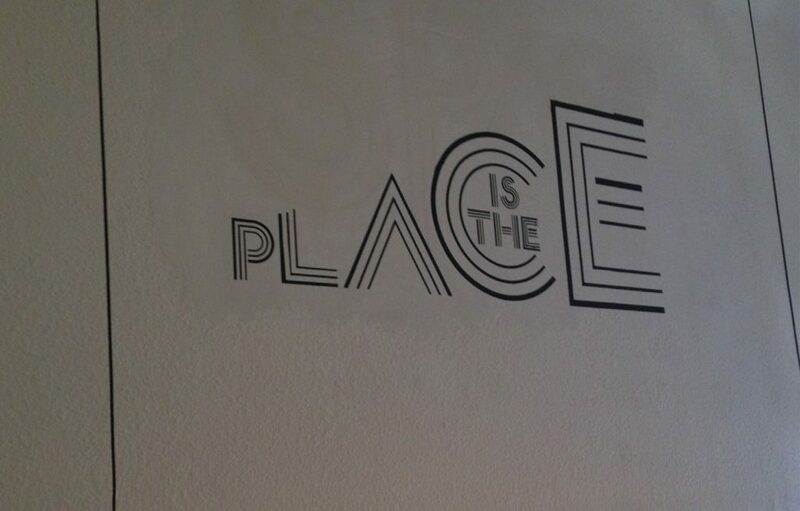 It has already become the go-to place in Madrid for local DJs and enthusiasts. They sell all genres of music from disco, to world music, and all kinds of electronica. They also hold regular events at their spacious shop and even have a recording studio that they rent out to anyone willing to use it. 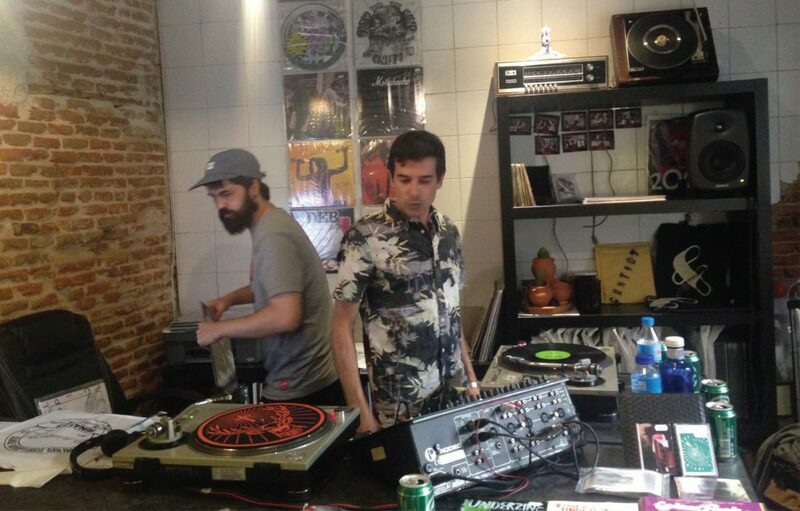 I have bumped into Soichi Terada and Auntie Flo here, who visited the shop when they last played in Madrid. On this occasion I bumped into Raul, a local DJ who promotes events at Siroco one of Madrid’s most iconic clubs. 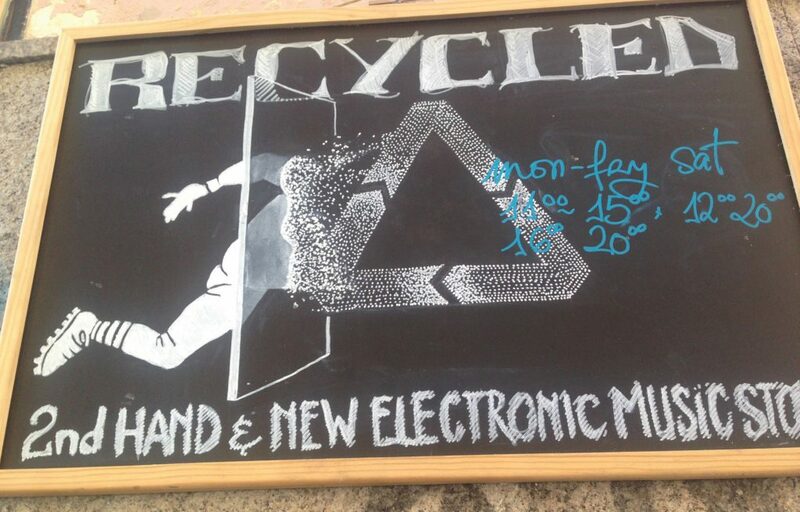 Just round the corner from El Almacén de Discos, there is Recycled Music Centre on Calle La Palma. This street used to be full of record shops but this it is the only one to have survived the the economic crisis of 2007. The clue is in the name, you will mostly find second hand music with a focus on electronica, they also however have a selection of soul, jazz and hip hop. 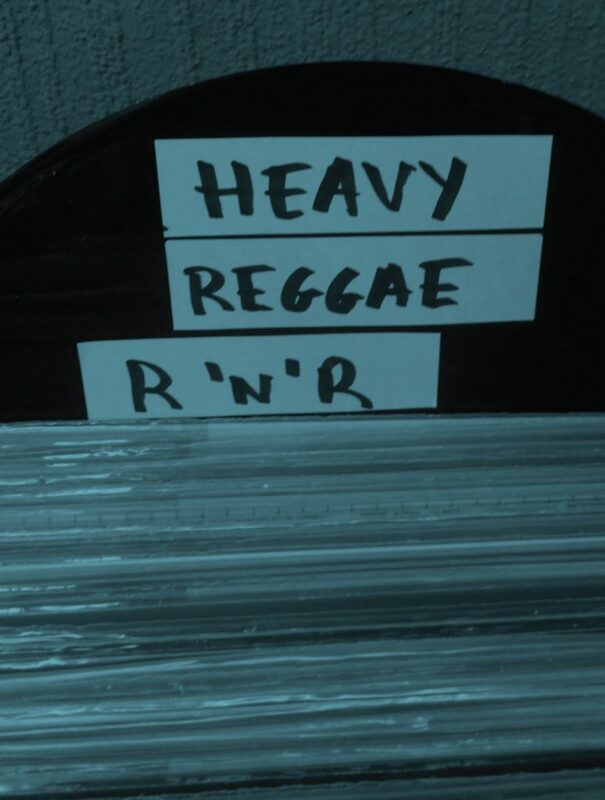 They have a good stand full of R&S records and another one with records by the classic New York house duo Masters at Work. The shop attendant and label owner, Flavio is a very passionate, cheerful and knowledgeable chap.